For the Research Blog Series, Lilian Edwards writes on the research exploring how ownership and control of cultural assets produced by users on social media sites are regulated by copyright and contract law. We aimed to examine how ownership and control of cultural assets produced by users on social media sites – text, photos, videos etc – are regulated by copyright and contract law. We also looked at two other key sites where cultural or copyright assets are produced by users: email platforms and online gaming sites. We chose to do this by focusing on what happens to these assets on the death of the user as this is becoming a difficult social problem, invoking clashes between contract and succession law, and between heirs and friends. Ownership in particular is transferred on death so it is a valuable cusp point to study. Edina Harbinja was awarded a PhD studentship to work on these issues under the supervision of Lilian Edwards who had worked in this area since 2009. Her PhD was completed in early 2017. A considerable number of papers, articles and chapters have been given and published. We also prepared a “one stop” shop website (“Memento Mori”) which is aimed at giving ordinary users somewhere they can look to see what the terms of service relating to transmission on death are on various sites. We picked the biggest sites (Facebook, Twitter, eBay etc) but the scope could be expanded. That there is no accepted taxonomy of digital assets; that some are very novel in law (e.g. Bitcoin) while others are really merely species of existing well known types of intellectual property (e.g. songs sold via iTunes which are copyright licenses). Lack of popular awareness of this leads to problems such as the termination of rights to music bought online on death even if a physical platform, such as an iPad, is bequeathed. That access to, and control over digital assets is very much controlled by contract law in the form of the terms of service of the platform rather than “ordinary” property, copyright or succession law, and a considerable number of cases reported anecdotally involved estate administrators or heirs struggling to access and take control of these assets (e.g. 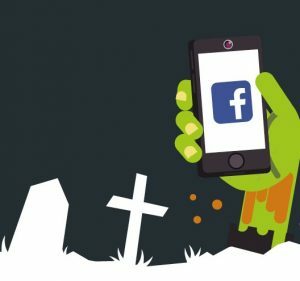 close down a deceased child’s Facebook page, access emails of deceased child). However as a result, the privacy of the deceased may easily be compromised. In the past the dead have not been regarded as having any rights in privacy (or, largely, in data protection, or libel.) However a social shift has happened because digital platforms now store such volumes of sensitive material about so many people , which remains persistent and often public and searchable after death. As a result we coined the new term “post mortem privacy” and this concept has had considerable impact. Another new phenomenon we investigated was the growth in technological legacy tools, both outside the main platforms (e.g. Legacy Locker) and embedded within sites (e.g. Google Inactive Account manager) which seek to give users ways to say in advance of death what they want to happen to their assets on death (e.g. memorialisation, deletion, transfer to a named person). Such tools have considerable potential for use empowerment, especially for young adult users; but they also raise many difficulties re conflict with traditional wills, power of the platform etc. Finally we noted that, although little discussed, not all digital assets will attract copyright protection in different legal systems and some may not even qualify as conventional property. This is likely to produce problems in future in life not just on death. This project has had considerable impact. Harbinja helped take part in drafting the US Model law on access of administrators to online digital assets which has been adopted by many US states. She is now helping a French colleague review the new French law in this area. We have both spoken in many venues to industry, academics, practicing lawyers and other groups such as death and bereavement societies. We are planning to submit evidence to the English Law Commission which issued a call for such in July 2017. Edina’s PhD will soon become a monograph commissioned by EUP which should become the standard text in Europe influencing the next generation of practitioners as well as policymakers and students. The main challenge has been to obtain data on the uptake of the new legacy tools on Facebook and Google. These are not included in their current transparency reports. Yes. Empirical research is badly needed on public attitudes to these issues; especially how and if users are making use of the new legacy tools; and if practising lawyers are encountering problems in daily practice and if so, how there are resolving them. Edina and I have applied for funding from the ICO to initiate this research. This research also interacts with very many questions re the transition from owning culture to leasing it (online music , films etc); the lack of a coherent theory of ownership of data; and the difference in culture between digital natives and the older generations. We hope to explore some of these. It helped considerably as a calling card for obtaining access to staff at Google, Facebook etc .